Denver native and Realtor Ryan Dillon, of Ryan Dillon Properties, Brokerage Madison & Company Properties, LTD, spearheads New Year donation drive for Soles4Souls to help people in need. I strongly encourage everyone in the community to drop by and drop off a pair of shoes to help a person in need. We especially need athletic shoes for kids in the Denver parks and Recreation youth sports leagues. Ryan Dillon Properties is hosting a donation drive for Soles4Souls, a nonprofit global social enterprise committed to fighting poverty through the collection and distribution of shoes and clothing. New or gently worn pairs of shoes can be dropped off at 1221 S. Clarkson Street, Denver, CO 80210. In the lobby of the building there will be a couple of donation boxes from January 15-March 1. Due to Dillon’s strong ties to the community and degree in Sports Marketing, as well as being an athlete himself and growing up playing sports in Denver, it is important for him that everyone has this same opportunity despite their access to footwear. For those who are not able to swing by the office to drop shoes off in person, Dillon is happy to pick up them up, or you can go online and make a direct monetary donation. The goal of the drive is $2,500 in online donations and 250 pairs of shoes.To donate, please visit https://soles4souls.networkforgood.com/projects/44920-ryan-dillon-properties-fundraising-kick-off. 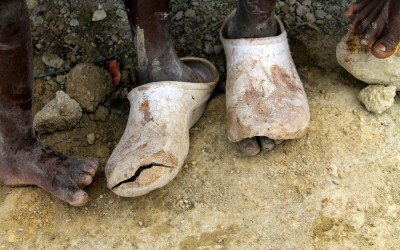 Soles4Souls aims is to eradicate extreme poverty by 2050. Children every day are prevented from attending school and adults are unable to work as walking becomes unbearable, which perpetuates the cycle of poverty. To date, Soles4Souls has collected and distributed more than 30 million pairs of shoes to those in need in 127 countries around the world and all 50 states in the U.S.
Soles4Souls is a not-for-profit global social enterprise committed to fighting poverty through the collection and distribution of shoes and clothing. 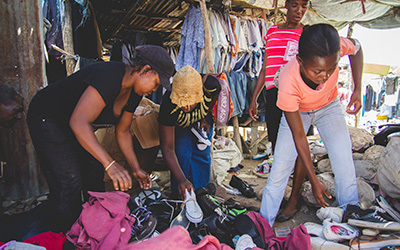 The organization advances its anti-poverty mission by collecting new and used shoes and clothes from individuals, schools, faith-based institutions, civic organizations and corporate partners, then distributing those shoes and clothes both via direct donations to people in need and by provisioning qualified micro-enterprise programs designed to create jobs in poor and disadvantaged communities. Based in Nashville, TN, Soles4Souls is committed to the highest standards of operating and governance and holds a four-star rating with Charity Navigator. Ryan Dillon was born and raised in Denver. His familiarity with the city, its neighborhoods, lifestyle and people gives him an in-depth understanding of the central Denver real estate market and surrounding communities. Ryan has been helping people buy and sell real estate throughout Colorado since 2002. For more information, please call (303) 489-3211, or visit http://www.ryandillonproperties.com.